Published: Nov. 5, 2014 at 11:04 a.m. Updated: Nov. 6, 2014 at 08:06 a.m.
Browns general manager Ray Farmer doesn't regret using a first-round pick on Johnny Manziel, telling reporters Tuesday that he still sees the quarterback as Cleveland's long-term answer at the position. 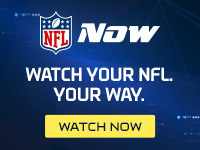 "I want Johnny to play when Johnny's ready to play, and we're comfortable with where we're at and how we want to play him and what the total organization looks like around him," Farmer said ahead of Cleveland's Thursday Night Football showdown with the Bengals, airing exclusively on NFL Network. "The result is for him to be successful for a long period of time and not just for a moment or for a flash, but for an extended period of time," Farmer said. "We're going to put together the right group, and we're going to make sure everything is in place. He's going to be ready, and we're going to be ready when he does get that opportunity." The Browns orchestrated a draft-day trade with the Eagles to move up and grab Manziel with the No. 22 overall pick. Even after seeing veteran Brian Hoyer tug Cleveland to its best start in seven seasons, though, Farmer told reporters he would make the same deal for Manziel all over again. "I would," Farmer said, refusing to confirm that Hoyer and Manziel would both be on the team next September. "Brian's contract expires at the end of the season; Johnny's doesn't," Farmer said. "We'll see what happens with Brian between now and then." The general manager praised Hoyer as one the "guys that study it, learn it, love it, breathe it, and he's done that," but the Browns certainly face an interesting dilemma in the offseason. If Hoyer wins on Thursday night, he becomes just the fourth Browns passer in franchise history to notch nine wins through his first 12 starts. There's a general desire, even within team walls, to evaluate Manziel -- but Hoyer has put those plans on ice for far longer than anyone expected.